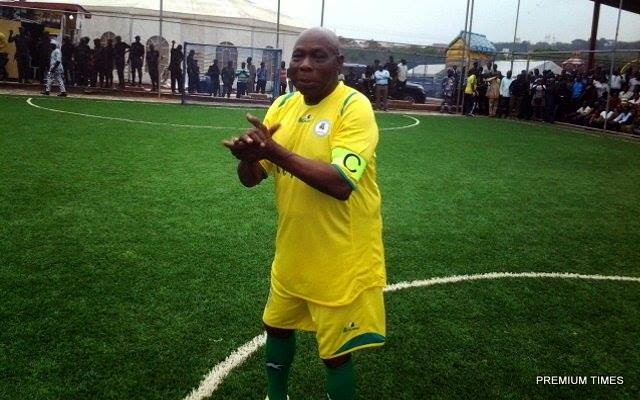 Former President Olusegun Obasanjo on Wednesday exhibit​ed​ his soccer skill​s​ as he led the OBJ Team in a soccer duel with the Ogun State Executive Team. 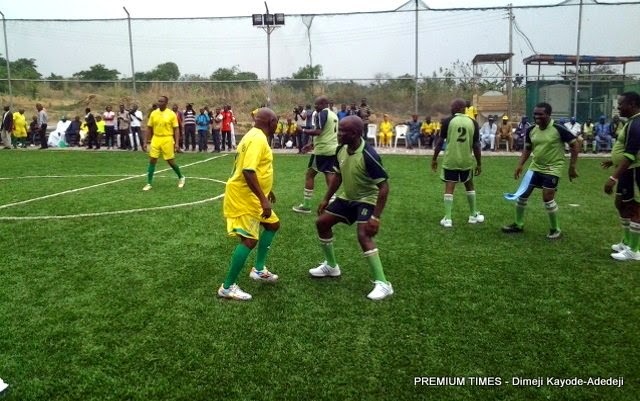 The match which was designed as part of ​his​ 78th birthday programme​,​ took place at Moshood Abiola Stadium, Abeokuta, with Governor Ibikunle Amosun, leading the state team. 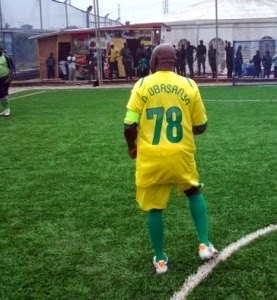 Mr. Obasanjo scored two goals for his team, defeating the Amosun team which recorded one goal at the full time of the match. 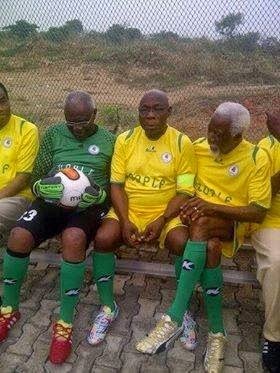 The Governor was awarded the Most Valuable Player of the match, while Mr. Obasanjo won the Golden boot award and Akin Mabogunje received award of Best Goalkeeper of the encounter. 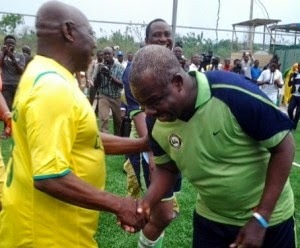 Speaking to journalists after the match, Mr. Obasanjo who was the captain of the team expressed satisfaction over the game. He said sports is a necessary exercise for both the old and the young. “I am satisfied and fulfilled, even at my age I cherish sport, because it is relevant to health and we should all endeavour to engage in sporting activities”.